All personal injury lawsuits in Tennessee must be filed within a certain time from the date of the original act that gave rise to the claim. This is known as the “statute of limitations.” Under Tennessee law, the statute of limitations is one year for most personal injury and medical malpractice claims. For example, if you were injured due to a doctor’s malpractice on September 1, 2016, you would have until September 1, 2017, to file a complaint in state court. But what if you did not learn of the doctor’s malpractice right away? After all, it is not uncommon in malpractice cases for the patient not to be immediately aware of a negligent act. The one-year clock can also be delayed if there was “fraudulent concealment on the part of the defendant.” In other words, if the doctor or hospital accused of malpractice made a deliberate effort to prevent the victim from learning about the negligent act, the statute of limitations does not start until the actual discovery is made. It can be very difficult to prove fraudulent concealment, however, as demonstrated by a recent Tennessee Court of Appeals decision. This case involves the April 2011 death of a woman who suffered from a number of health problems including cancer. In February 2011, doctors performed an endoscopy procedure. This required the victim to swallow “a hard capsule with a mini video camera” that enabled doctors to examine her small intestine. Unfortunately, the capsule remained lodged inside the victim and created an abdominal obstruction. This led doctors to perform exploratory surgery. In the course of that surgery, doctors “lacerated or penetrated the small bowel.” Leakage from the perforated bowel caused sepsis and ultimately death. The surgery to remove the capsule took place on February 20, 2011, six days after the original procedure. The victim’s family served a required pre-suit notice of medical malpractice and wrongful death claims against several defendants in January 2012, although the lawsuit itself was not filed until August 2012, more than one year after the original surgeries. The trial court therefore dismissed the lawsuit as barred by the statute of limitations. The Court of Appeals affirmed that decision, rejecting the family’s claim that there was “fraudulent concealment” by the defendants. The family said they did not “discover” their cause of action until February 2012, when they actually obtained the victim’s medical records. But as the appeals court noted, the defendants made no effort to conceal these records, which were provided “shortly after a request was submitted.” The family was actually responsible for not discovering the alleged malpractice in a more timely fashion. 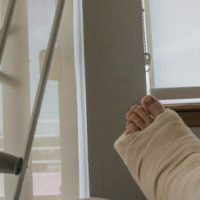 Time is always of the essence when pursuing a personal injury claim. It may take several weeks or months to properly investigate and identify the negligent parties, during which time the clock is ticking. That is why it is essential to engage an experienced Knoxville personal injury lawyer as soon as you have reason to believe that you or a family member have been the victim of negligence. Contact the offices of Fox & Farley, Attorneys at Law, if you need to speak with a lawyer right away.